CNFD defines ‘serverless’ including functions as a service (FaaS) like Lambda and backend as a service (BaaS) like Bigquery. tectures built from containerized software components. What’s remarkable about April 7th, 2014 isn’t what happened that day. It’s what didn’t. That was the day the Heartbleed bug was revealed, and people around the globe scrambled to patch their systems against this zero-day issue, which came with already-proven exploits. In other public cloud platforms, customers were impacted by rolling restarts due to a requirement to reboot VMs. At Google, we quickly rolled out the fix to all our servers, including those that host Google Compute Engine. And none of you, our customers, noticed. Here’s why. 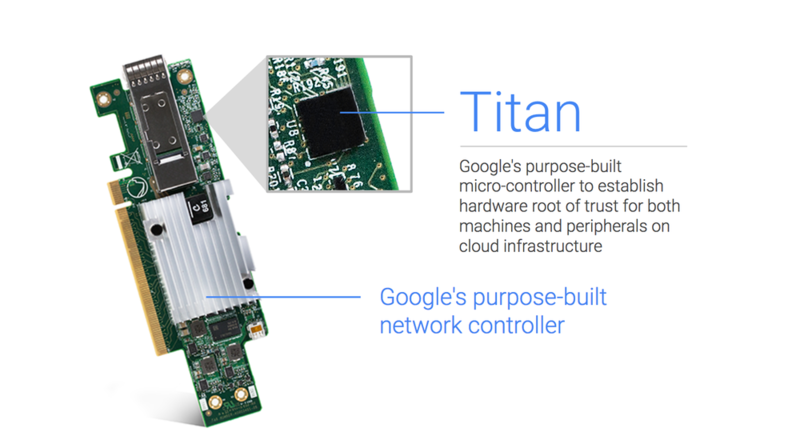 We introduced transparent maintenance for Google Compute Engine in December 2013, and since then we’ve kept customer VMs up and running as we rolled out software updates, fixed hardware problems, and recovered from some unexpected issues that have arisen. Through a combination of datacenter topology innovations and live migration technology, we now move our customers running VMs out of the way of planned hardware and software maintenance events, so we can keep the infrastructure protected and reliable—without your VMs, applications or workloads noticing that anything happened. Share innovation to raise the bar, support and invest in the security community. Today, we’re putting our core web services behind the protections provided by U2F and Google’s account takeover and anomaly detection systems. Not only will this provide phishing resistance through the authentication proxy, but also authorization through IAM roles assigned to the user’s Google account. U2F Yubikey enrolled and enforced for the users/groups that will be accessing the application.